Become a member to get access to full contact information for ADDS / Alcohol and Drug Dependency Services including email and website. ADDS / Alcohol and Drug Dependency Services is not not guaranteed to be free but all listing are either free sliding scale, discounted, low cost, or Medicaid sponsored local treatment centers. 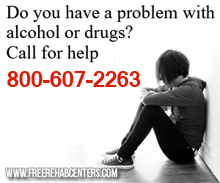 Many are non profit drug and alcohol treatment facilities such as faith based organizations.